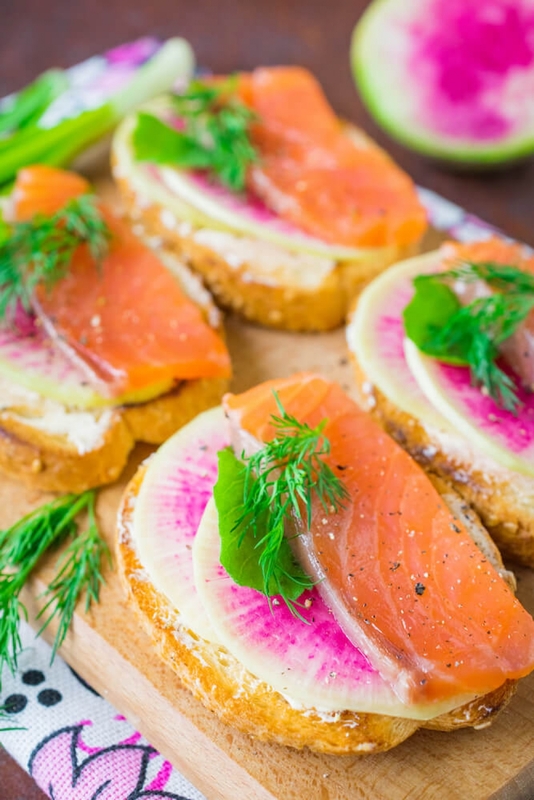 The crispy bruschetta with salmon and watermelon radish can be made within several minutes and at once serve on a holiday table. Fresh vegetables perfectly supplement light-salted red fish, doing snack more colorful and tasty. 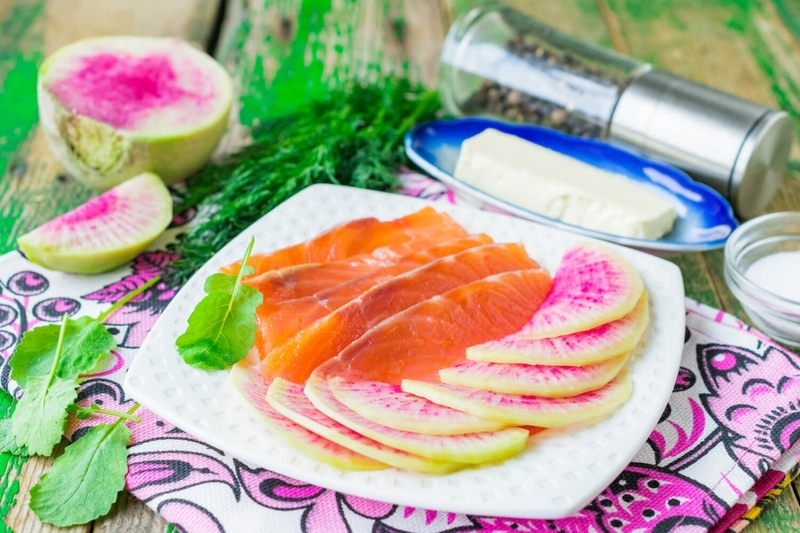 For the recipe it is possible to use any red fish: humpback salmon, salmon fillet, salmon or Siberian salmon. Fish fillet can be salted independently, using fragrant ground spices, bay leaf and fresh greenery. 1. 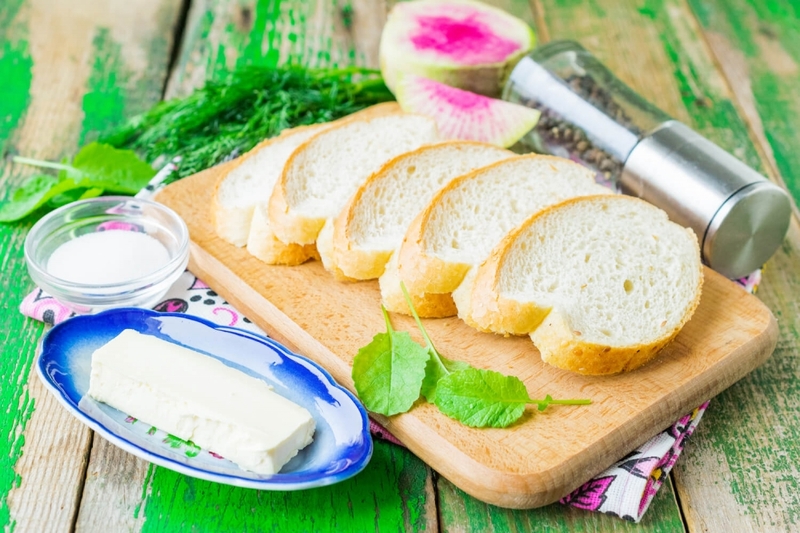 Cut fresh baguette into slices of 1 cm thick. 2. 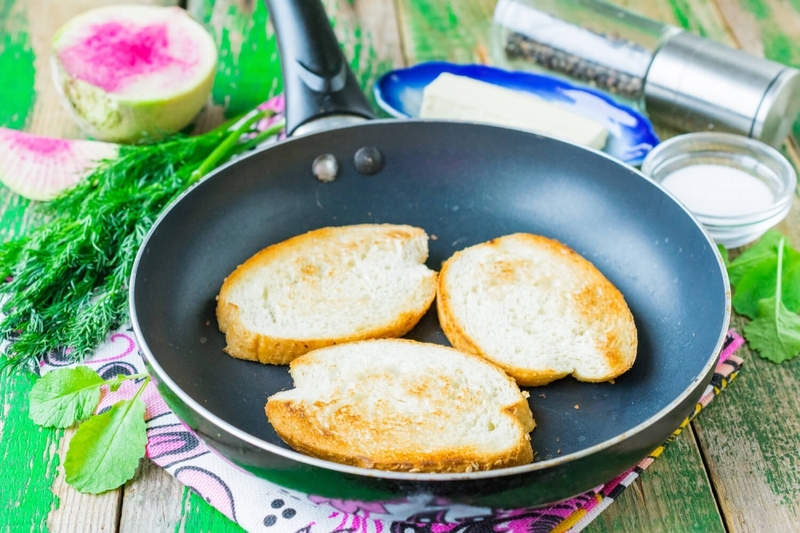 Lay out baguette on a dry frying pan. Dry bread on slow fire until golden crust. 3. Smear fried slices of a baguette with a thin layer of butter. 4. 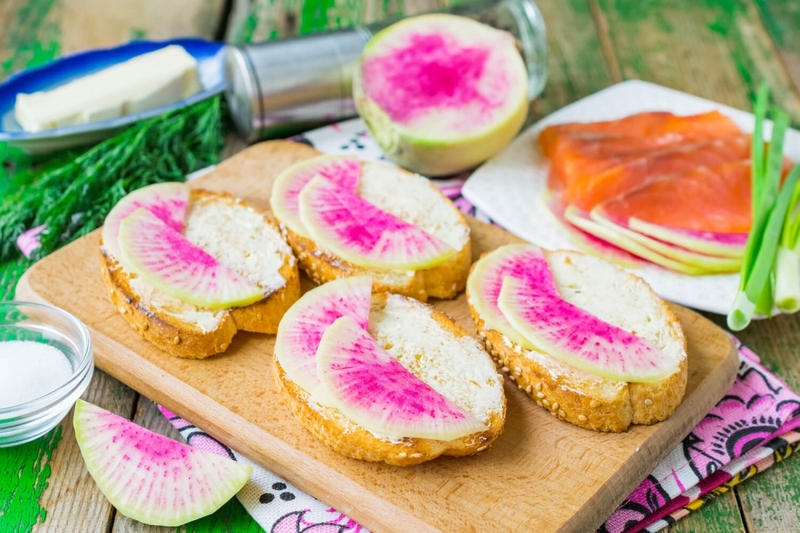 Wash and peel watermelon radish. Cut radish into thin half rings. 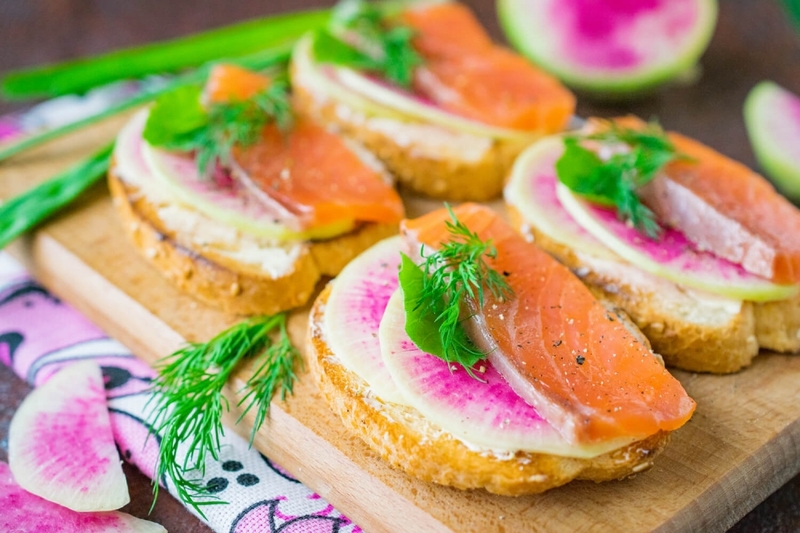 Cut light-salted salmon into thin slices. 5. 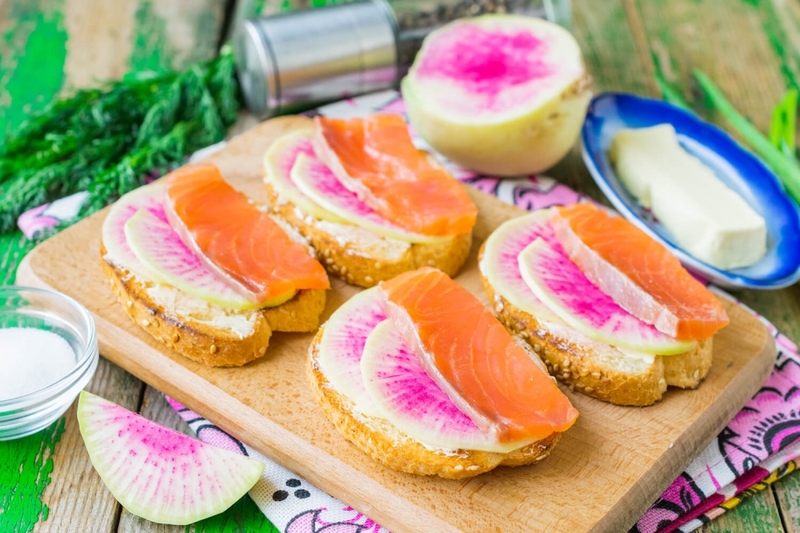 Lay out thin half rings of watermelon radish on one half of bruschetta. 6. Lay out slices of red fish on the second half of bruschetta. 7. Season snack with ground black pepper. 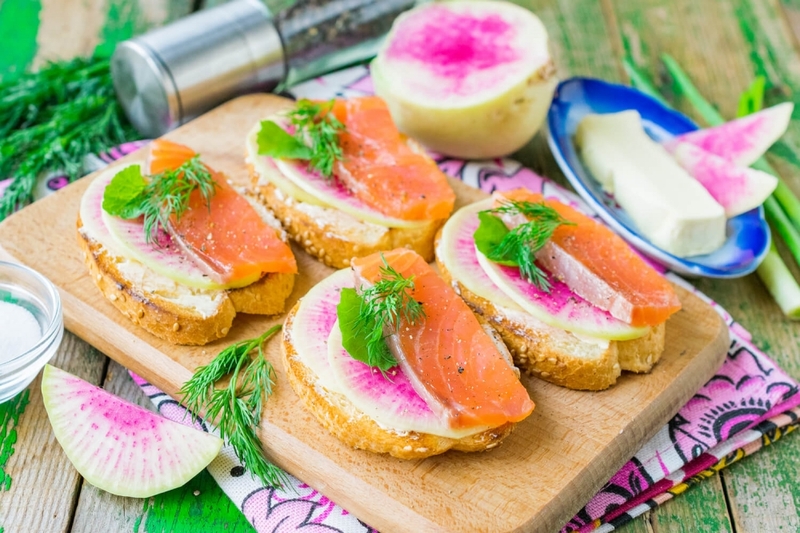 Decorate bruschetta with red fish with stems of fresh greenery. Lettuce leaves, dill, parsley or microgreens will be suitable for this recipe. 8. 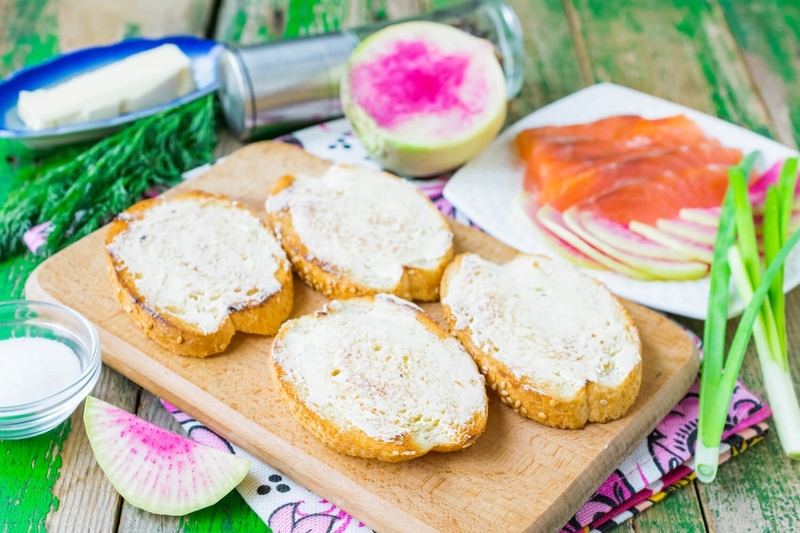 Serve bruschetta with salmon and watermelon radish right after preparation while bread remains crispy.